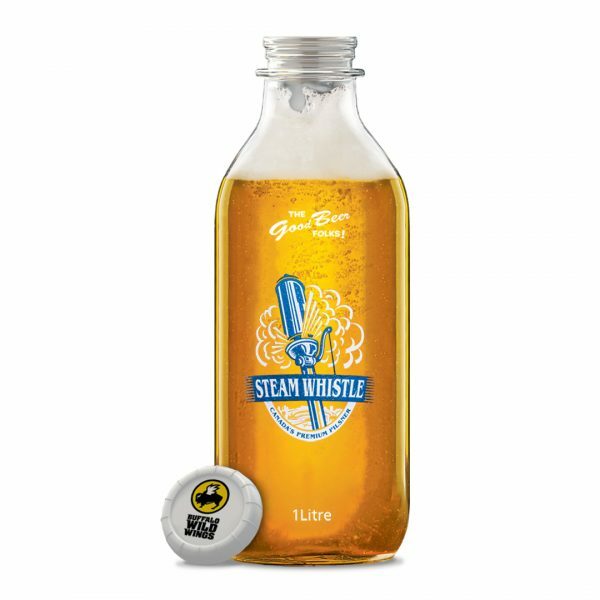 To celebrate the initiation of patio and beer season, Steam Whistle Brewing and Buffalo Wild Wings are giving YOU the ultimate promo! 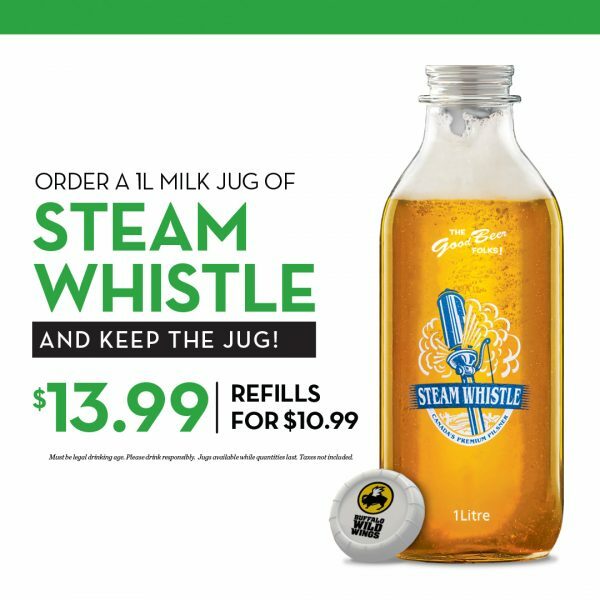 Steam Whistle’s 1L Milk Jug will be available at all Buffalo Wild Wings across Canada for purchase of $13.99 and refills for $10.99! 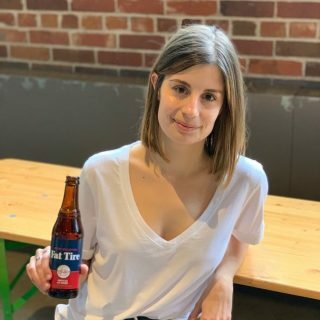 You won’t only be sipping from jugs of suds in retro – style this season, but you’ll have an iconic Steam Whistle souvenir to bring home and add to your collection! 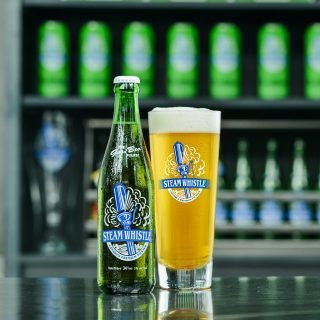 The Steam Whistle Milk Jug comes branded with the iconic corporate logo. It makes a great water glass (or milk jug!) 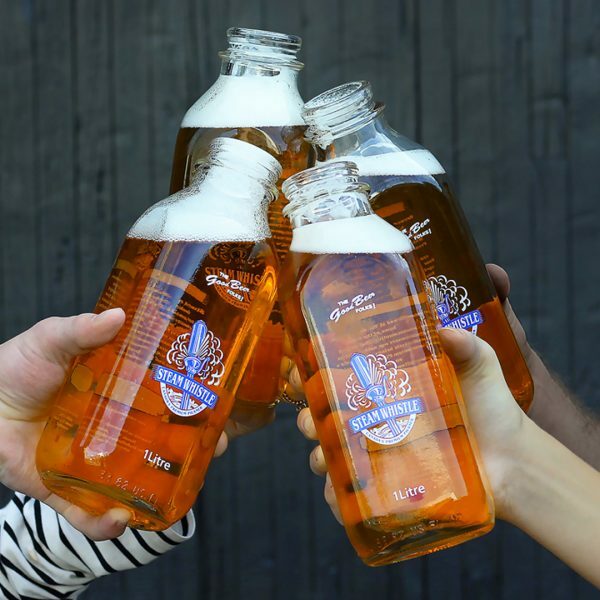 when you’re not filling it with Canada’s Premium and Pure Pilsner.